When it gets colder outside, the jackets come out. And they’re just as much part of the outfit as the bag, shoes or sweater you’re wearing. Hell, sometimes they even make the outfit. And who doesn’t want to look stylish when they’re braving the rain and wind. When it comes to jackets and coats I’m a bit of a hoarder. I think 25% of my wardrobe consists of them. And I keep finding new ones I desperately want to add — but don’t need unfortunately. However, there are certain fall/winter coats that I think every wardrobe needs. 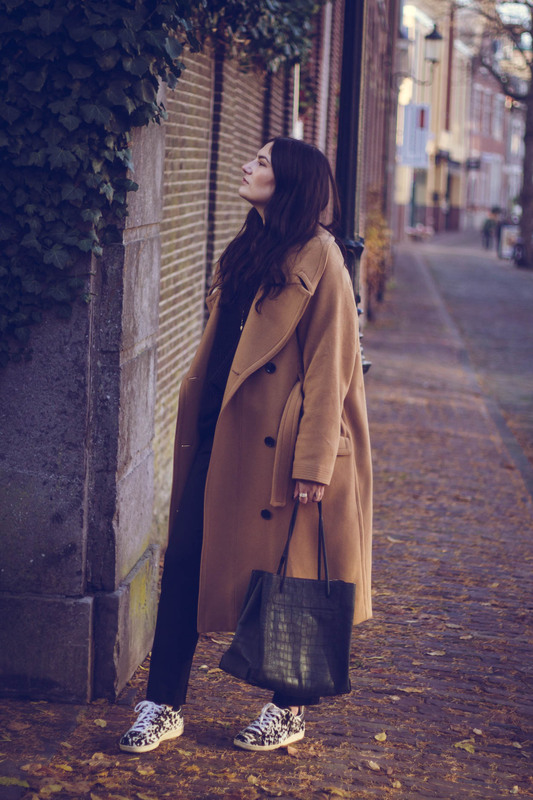 It always depends on your personal style but the following 5 fall coats are the wardrobe staples that will elevate your looks this fall. Don’t want to read a whole post? I’ve made a fall lookbook you can watch below! The blazer coat is the fall version of your everyday blazer. I think this type of coat became extremely popular because of Isabel Marant — she has some of the best ones in her previous collections. But you can easily find a good blazer coat on the high street. I have the perfect one from & Other Stories but I’ve also had my eye on this one at Mango with a herringbone print. If you’re in the market for a blazer coat, check them out or go for another classic color like black or print like checks. They’re the perfect classic casual wear for fall. Also, do you recognize the bag? 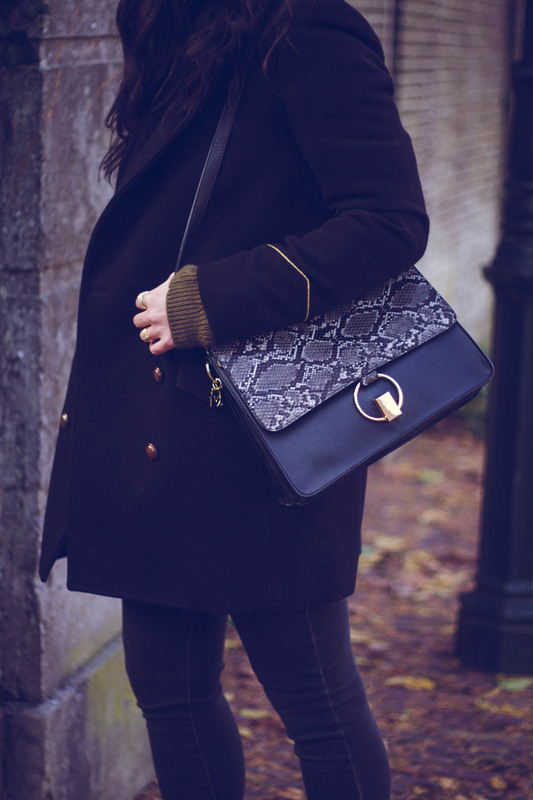 It’s the one I’ve chosen from this post with the perfect affordable black fall bags. 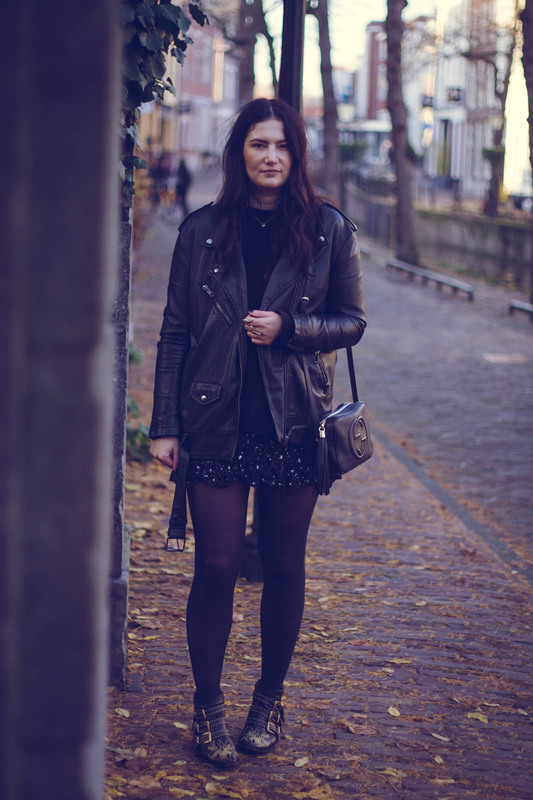 The leather jacket is the classic coat everyone can use in their wardrobe. It comes in many different fits and cuts to accommodate whatever style. 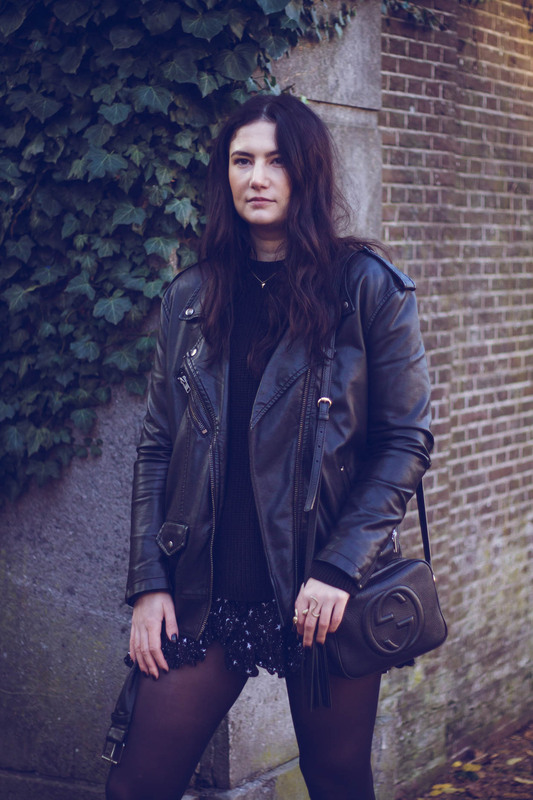 I personally have one that’s a longer, moto jacket in faux leather. It has lasted me three years and I have no intention of getting rid of it. I especially love to combine it with a cute dress and boots for fall. They’ve been staples for a couple of fall/winter seasons and I don’t see them going. 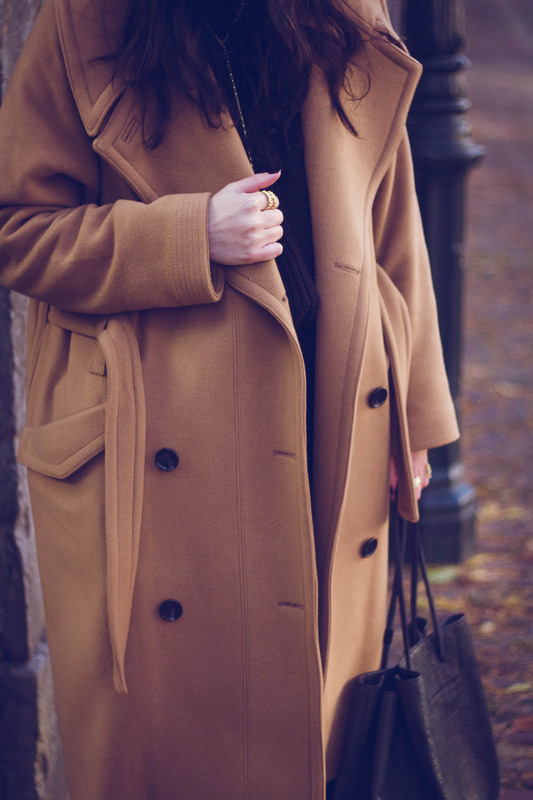 A camel wool coat will not only keep you warm, it’s also a super stylish classic staple. I personally have an oversized version from H&M from their A/W 16 collection. It’s been my staple ever since I added it to my wardrobe. It makes me feel glamorous, whatever I’m wearing. The military coat is one of my favorites. It’s also the coat I pick when I need something a little warmer. 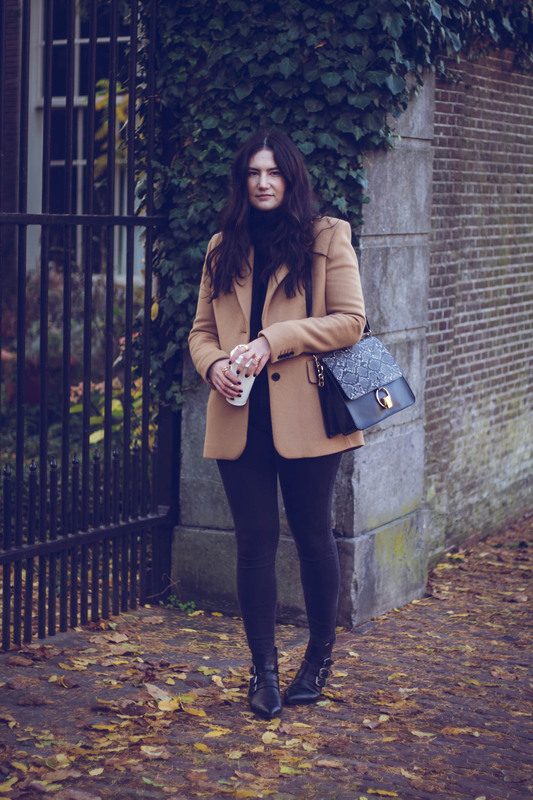 I love this type of coat because it’s structured and the fit is very flattering on many body types. Mine is from Mango — I get a lot of great coats from there — from the Kate Moss collection. It has saved many of my outfits in fall and winter. 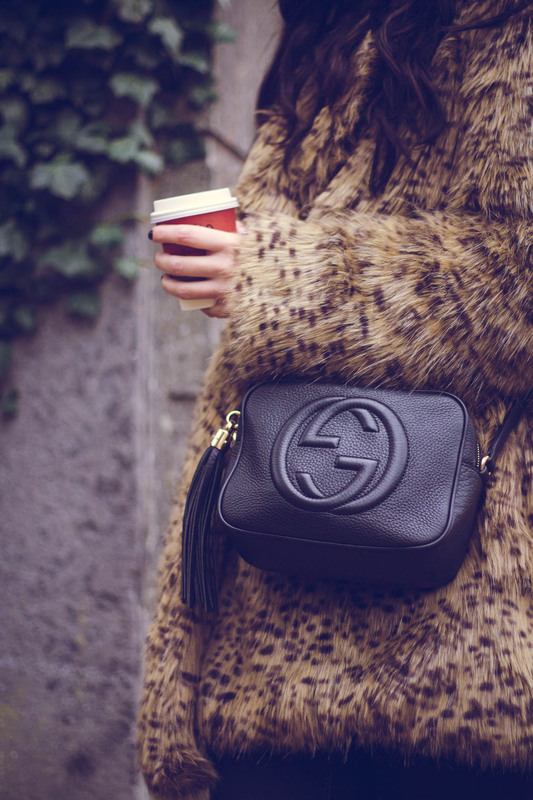 Faux fur is the way to go. 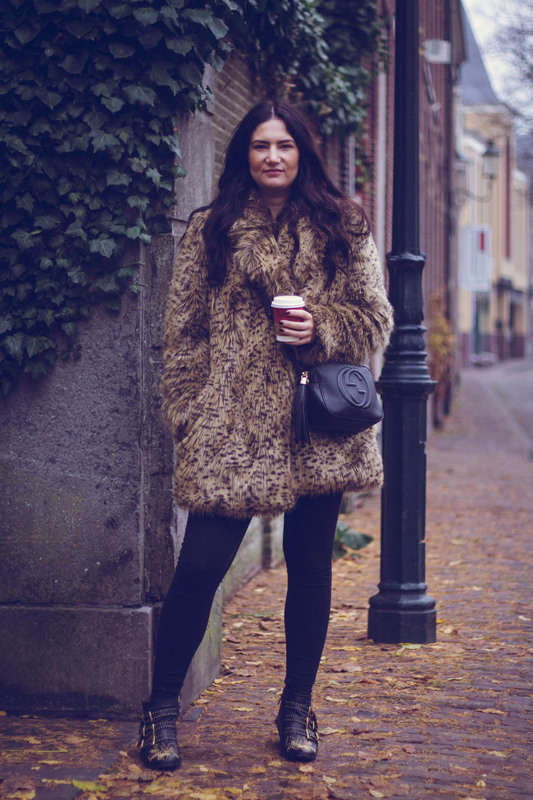 Maybe a couple of years ago I would say it’s okay to get yourself a vintage fur coat — never a new one — but with all the good faux fur coats out there, there is no excuse anymore to not go faux. They look just as good but without the animals being killed for it. It’s a classic staple with a fun twist that any wardrobe can use. However, you need to pick the right print and color because they can look tacky really fast. I would say, stay within the natural color scheme and don’t go to yellowy. But — as with everything in your wardrobe — it needs to fit your personal style. 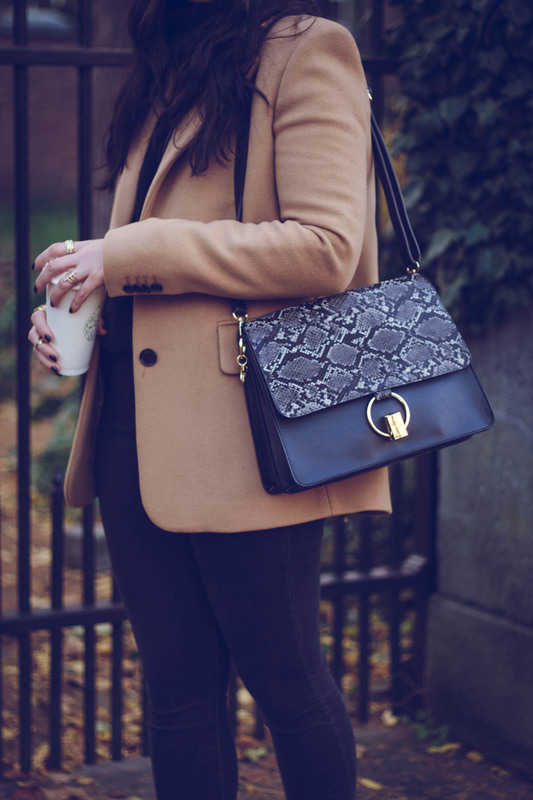 What’s your favorite fall coat from the list?